NEW YORK--(BUSINESS WIRE)--Wibbitz, the leading automated video creation company, today announced that it has partnered with Mail Plus, the digital subscription-based edition of the Daily Mail and The Mail on Sunday, Britain’s most influential daily newspapers. This partnership brings the power of quick and quality video creation into the Mail Plus editorial team’s workflow. Mail Plus values innovation and exploring new media which is why it was chosen as a launch partner for Amazon’s suite of smart assistants and devices including the Echo Show. 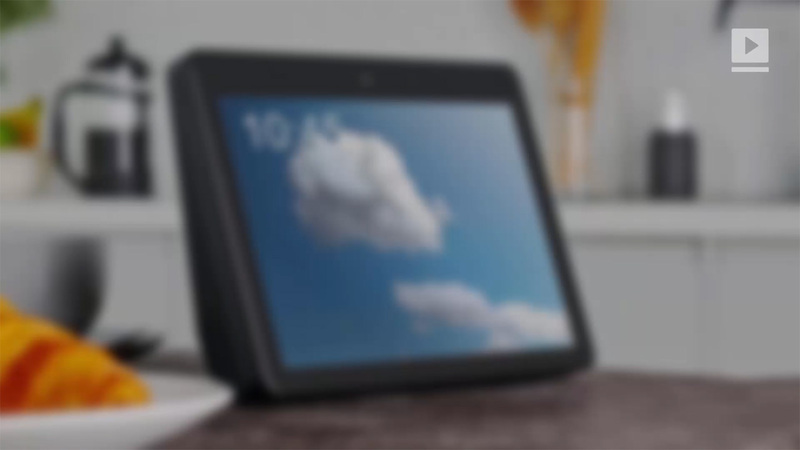 As one of the first few newsbrands to launch an Alexa Skill for the Echo Show, Mail Plus recognized the need to incorporate video content in order to engage users of these devices. 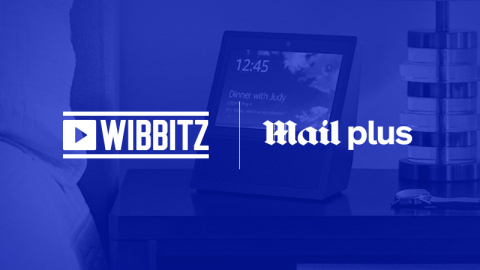 The partnership with Wibbitz enables editors on the Daily Mail team with no previous video experience to create quality news video in minutes, increasing their capacity to produce content for the Mail Plus app and mobile site and the Daily Mail Skills for Amazon Echo Show. Mail Plus is an early innovator on Alexa. When the need for visuals became apparent with the Amazon Echo Show, the team faced challenges in producing video content during the daily news cycle. After adopting Wibbitz’s streamlined platform, the Mail Plus team was able to publish high-quality video content through collaboration across the team. Editors can now input stories into the Wibbitz platform. They can add media from an expansive library of fully-licensed videos, images, and gifs, and optimize video formats for mobile devices and the Amazon Echo Show. Since implementing the Wibbitz platform, Mail Plus has established a video-centric news experience for its subscribers by allowing editors to become video creators. As well as news videos, the Mail Plus team also leverages the Wibbitz platform to create recipe videos for its Mail Recipes Skill on Amazon Echo Show. Subscribers can now enjoy a hands-free experience with the ability to listen, watch and cook all in one place. Wibbitz is an automated video creation platform that empowers professional storytellers at the world’s leading publishers and brands. The platform leverages patented AI technology to simplify video production processes, helping content creators quickly and easily produce beautiful videos for every platform and channel. Creators have access to personalized video templates, intuitive editing tools, a team of in-house experts, and millions of licensed photos, videos, and soundtracks to ensure that each video captures their unique brand voice. Wibbitz supports video creation for over 600 partners, including Bloomberg, Reuters, Conde Nast, Hearst, TripAdvisor, and Birchbox. Wibbitz was founded in 2011 and has offices in New York City, Tel Aviv, Paris, and London. For more information, visit www.wibbitz.com and follow @wibbitz. Mail Plus is the digital subscription-based edition of the Daily Mail and The Mail on Sunday. Accessible anytime, anywhere, seven days a week, Mail Plus members can read the paper as it appears in print delivered to their tablet, phone and computer. Members can watch videos and browse breathtaking photos. Members can listen to the audio edition and the classical album collection, plus play amazing interactive puzzles. Finally, Mail Plus now offers even more with the launch of Health Plus in January 2019.